Most people don’t give too much thought to the homeowner’s insurance when buying a house. Big mistake! And that is because there are always things that seem more important and manage to capture your attention before this detail even crosses your mind. Well, you might get lucky, and all turns out well. Or you won't, which will be a disaster. Because homeowner's insurance makes a huge difference in case something hazardous happens to your property. So, before you blindly sign on the dotted line, here are some important things to consider in order to cushion your investment as well as your beautiful future home. Get price quotes from multiple insurance companies. It is recommended that you contact at least three companies, in order to better compare coverage, price and customer reviews. In some cases, an additional insurance is needed. It’s important to choose the company that earns your trust, and not necessarily the one that offered the lowest price. A very good thing to remember is that you should not pay for more coverage than you really need. Double check that the level of coverage is adequate to your true needs. Another thing to consider is that most lenders prefer you to escrow your insurance payments with your mortgage payments, so they can be sure their investment is protected. Before you sign the papers, make sure you understood all the details of your insurance. In case you still have doubts, don’t hesitate to ask for further clarification. · Careful, if you live in a disaster-prone area, certain kinds of damage might be considered separate deductibles. · Do not be afraid to negotiate a discount. · Some companies have a policy that allows them to reduce a certain percent of the final cost, especially if you are a dedicated client. If you are a first-time home buyer, it might be a smart idea to have a warranty plan, so that you can sleep well at night. The advice also applies to the experienced real estate owners that just don't want to have the thought of maintenance and repairs hanging over their heads. A home warranty is a way of protecting yourself from expensive, unexpected repair bills. Depending on the local market as well as on the deal, the home warranty can be paid either by the seller or by the buyer. Most commonly, this warranty is paid by the seller, in order to protect the buyer from having to do any additional, expensive repairs to the house after the deal is closed. The cost of a home warranty is normally not high, as it fluctuates between $250 and $400, depending on the coverage. The payment must be made one year in advance. In case you need to use such a warranty, the procedure is quite simple. When there is a problem, the owner calls the warranty company, which then announces the service provider that will be fixing it. The provider will always call the owner in order to schedule an appointment and fix the problem. The insurance company will pay the service bill. The only thing that the owner might have to pay is a small trade service fee. In case the warranty company initially refuses a claim, do not accept no for an answer. Complain to the real estate agent. He will then have to find a solution by working with the warranty company representative. Be careful when choosing a plan, because there are many existing coverage differences. Pay attention when reading the fine print relating to the conditions for coverage and the reasons that can make them to be denied. Remember, the secret to getting a good insurance plan rests in knowing all the details. In simple words, a real estate appraiser can be defined as a state-licensed expert who determines the value of a certain property. When it comes to closing a financial transaction, implying a property, both the seller and the buyer depend on his or her evaluation. This procedure is meant to protect the buyer, as well as the bank that offers the mortgage loan, from purchasing an overestimated and overpriced piece of real estate. The property appraisers are not the same as property inspectors. The difference between an appraiser and an inspector is that the former will only look for obvious issues while the latter only checks, in a more detailed manner, things like the plumbing, or the air conditioning system. The appraisal report is required by the bank, and the cost is included in the mortgage cost. The expert evaluates the property using one of these two methods: sale comparison approach, by comparing your home with other similar ones that were sold in the area, or the cost approach, used mainly for new buildings, a method that evaluates the cost of replacing the structure of the home. If the reports show that the property in overrated, you don’t have to panic. Some maintenance work might convince the appraiser to take a second look. Otherwise, you can simply ask for a second opinion from a different expert. Although the evaluation only lasts a few minutes, the final report may be ready within a week or more. So, don't expect to get it on the spot. According to the law, a real estate transaction is considered closed when a closing statement or settle statement in signed. At this point, the buyer becomes the new owner of the property. This document must include details about all fees incurred by all the parties involved. Settlement regulations differ from one state to another. However, two aspects are the same all over the US. One of them is that the buyer has the right to visit the property 24 hours before closing the deal, in order to make sure that everything is according to the settlement and any damage noticed beforehand had been fixed by the seller accordingly. The second thing is that the buyer should receive the settlement statement 24 hours before signing, in order to have adequate time to review and compare it with the Good Faith Estimated for discrepancies. Different locations have different traditions. It is mostly a custom in most parts of the US that only the buyer is the one who is accompanied by his/her attorney. The presence of an attorney is necessary. There is literally a mountain of paperwork to be drafted and signed. Two examples of such documents are the loan estimate and the closing disclosure. When the deal is sealed, you should always receive the front door keys, all the copies that were made, as well as any other keys relating to the property (if that’s the case). Also, you should know that you will need an entire stack of documents for tax returns, in case you ever choose or need to sell the property. e. Prepay Mortgage, is it Worth it? If possible, know that it is a great idea to prepay your mortgage. By doing so, you can reduce the costs incurred together with interest and save thousands of dollars in the long term. To prepay the mortgage means that you pay the amount you owe to the lender before due term. In order to do so, it is very important to understand some of the most popular methods of doing so. Some people decide to pay on a monthly basis a sum of money that is larger than the one that was settled upon. It has been proven that this method can actually save you a small fortune in the long run. Another way of reducing interest is through the bi-monthly payment system. This way, instead of 12 payments per year, there will be 13 monthly payments that you will be making to your bank. Some mortgages have a flexible policy, which basically allows you to make extra payments as you consider fit (and that without restrictions). In other cases, however, the terms of returning a loan are quite strict and require a penalty for those who are planning on prepaying the mortgage. These terms would usually be detailed in the prepayment penalty disclosure section of the documents. So, make sure that you examine the documents carefully. This is especially the case when it comes to the fine print. In case you decide to close the payments on the mortgage and the penalty is too high, there is an option called refinance. 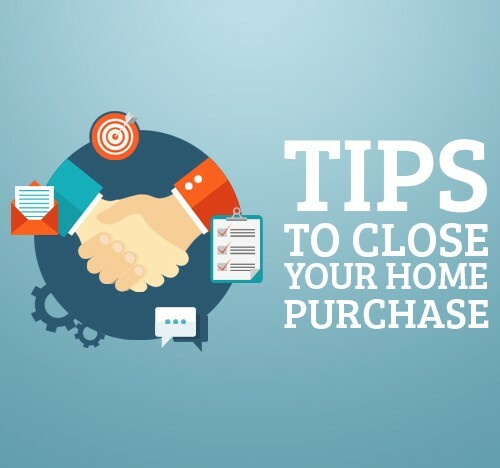 Until the closing statement is signed by both you and the seller, nothing is certain. The deal might literally fall apart from one day to another. Here is a list of the most common mistakes that may seem insignificant for the buyer at the first glance, but which, for the lender may mean the world. Be careful with other big purchases while trying to obtain a mortgage. Do not charge your credit cards with thousands of dollars for unnecessary things. Buying expensive furniture or opening a new line of credit may threaten the deal as the lender may suspect that you are cutting funds reserved for the real estate payment. It is highly important to act responsibly and turn in all the required paperwork on time. Make sure you have enough time to review the closing statement and try your best not to be the reason that will make the signing to be delayed. It is also important that any problem mentioned during the inspection is fixed in time. Some buyers may use this as an excuse to withdraw from going through with the deal. One more detail which doesn’t always seem important, but actually is, regards the money you receive from family or friends. This kind of income should be cleared with the lender early in the process, in order for the sums not to be considered as further debt. Another way to delay the closure is by changing jobs or switching positions. These actions are highly questioned, especially if they lead to your main income to no longer being based on a monthly salary, but on commissions or performance bonuses. The fickle, unstable nature of a commission-based income might threaten the deal. To sum up everything, so far, closing a real estate deal can be a race full of adrenaline. At the same time, it is highly regulated and governed by strict rules. In case you ever stumble upon unexpected delays and challenges, do not lose hope, eventually, the house will be yours. Don't worry, most of the time you will reach the finish line with a smile on your face and a beautiful new home to call your own. So get out there and start searching for the perfect home for you and your loving family. After all, we all know that there is no place like that you can call home. Aleksandar Petreski - Alek was born in Ohrid, Macedonia. As a child, Alek had aspirations of being a professional soccer player. A dream that never completely fulfilled but that dream developed habits that drove him to create a character of persistence, focused hard work, dedication to be the best he can be, to continually think how he can be better, how can improve to compete better today than he did yesterday. Those developed habits, characteristics drives him even today as a Real Estate Professional. Never in a million years did he think he’d stumble into the real estate industry, but you can’t always predict where or when you’ll discover what you’re meant to do in life. Alek understood at a young age that if he wanted to accomplish something in his life, he must work for it, not focusing on the obstacles, focusing on the solutions. Coming to America in 1996 and barely speaking any English, starting the various business from cleaning service to home appliances delivery, realized that Real Estate Investing is an excellent opportunity for a better tomorrow. He realized to be successful Real Estate investor he needs to find good deals, to find good deals he needs to find good contacts such as realtors, competent appraisers to help him with the enigma whether you are overpaying or not, to know how much can pay or how much he can sell for because timing is everything. Alek understood he needs to team up with a Real Estate Professional to avoid burning money by not competently pricing & marketing homes. Struggling to find that good team, Alek went to a Business School and became Licensed Realtor in 1999, Certified Residential Appraiser in 2004, and Finished Modern Marketing for Success course in 2008, giving him the skills and knowledge to become Real Estate Expert in the marketplace that he would want to hire. As the years went by, Alek worked his way up, never wavering in his resolve to become the best version of himself with each career move. During this time, Alek was buying and selling real estate, both for his clients and his personal use. 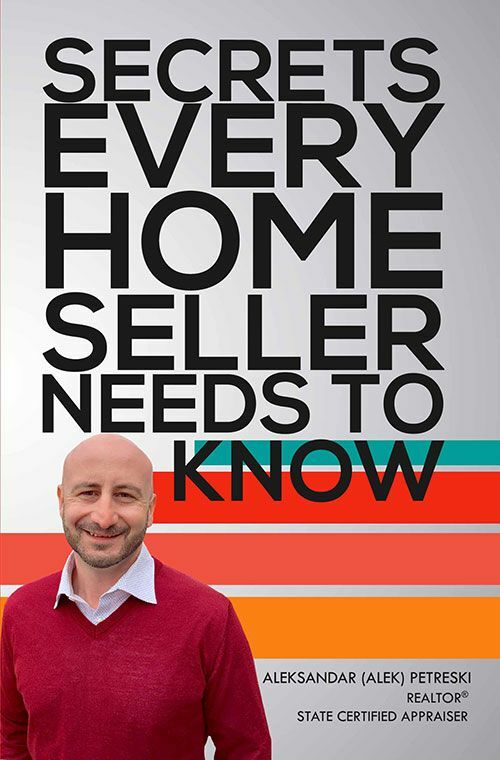 As his career advanced, Alek found his stride working with Home sellers and Home buyers in the marketplace to avoid burning money by not competently pricing, marketing or paying for a home. • Investor, and regular contributor/speaker to various Real Estate Offices in New Jersey on how to avoid properties to be under-appraised and risking a deal falling apart. • As a Chief Appraiser with New Jersey Real Estate Appraisal Group, Aleksandar (Alek) Petreski is a State Certified Real Estate Appraiser, Federal Housing Authority Approved Appraiser (FHA), that has over 15 years’ experience with over 13,261 Residential Real Estate Appraisals to his credit and is considered one of the top Residential Real Estate Appraisers in New Jersey. • Property Acquiring Consultant for HCA Developers LLC-Specializing in Acquiring Real Estate Investment Properties. Alek lives in Edison, with his wife Marijana and their two children, Petar and Emma. When he’s not busy providing his expertise to his Real Estate clients, you can find Alek on the soccer fields indoor or outdoor throughout the state. Very involved in the youth soccer landscape in New Jersey as a youth soccer coach, volunteer as Director of soccer coaching for local youth soccer clubs, with one purpose instilling in the kids the passion and love of a game that for them as well might become a vehicle to develop good lifetime habits and skills. 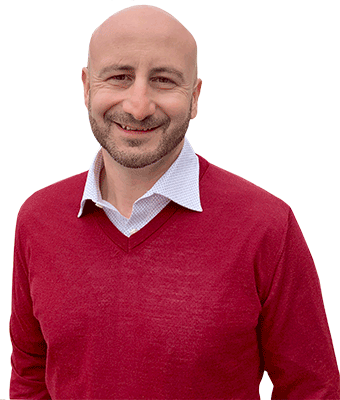 Alek aims to provide the highest level of service to his clients and takes deep pride in helping them achieve their real estate goals. He lives by the quote of the Hall of Fame basketball player/coach John Wooden. "If You Don’t Have Time to Do It Right, When Will You Have Time to Do It Over?"